The water temperature is continuing to fall and is now about 79 degrees. This week the dry season north winds were very light making for very calm and smooth trips to Isla Coiba, Isla Jicarita, Isla Cebaco and Panama’s Tuna Coast on the Azuero Peninsula. We even had spots of rain showers. Not exactly the norm for this time of year. The first half of this month we had Richard and Francine from Ottawa Canada. They wanted to load a cooler with packs of fresh filets so we headed to Isla Jicarita which is a small island on the far south end of Coiba. 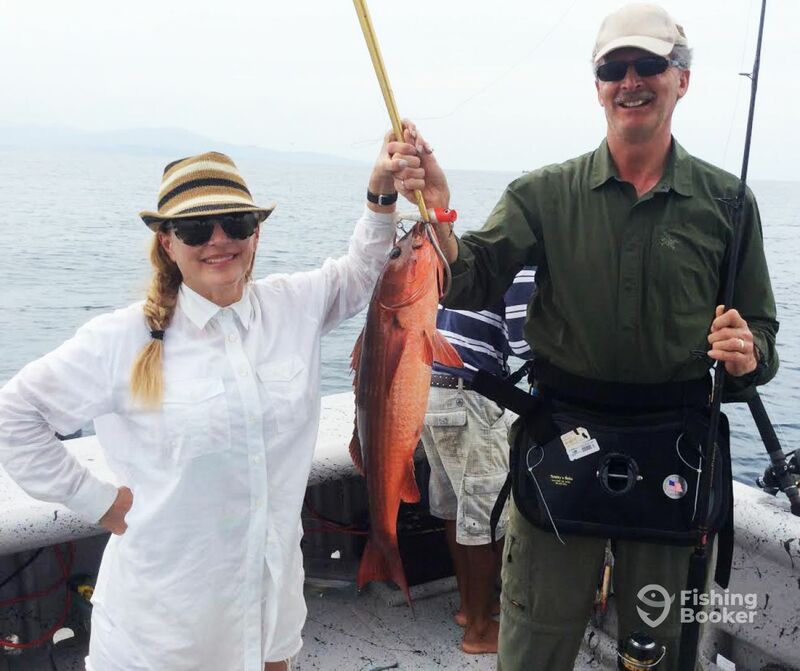 As we approached Coiba we saw a ton of bait and bird action on the surface. We had some luck throwing the popper and snagged a few small mullet snapper. A short time later as we approached Isla Jicarita we dragged the teasers and plugs to see about picking up some tuna with much success. 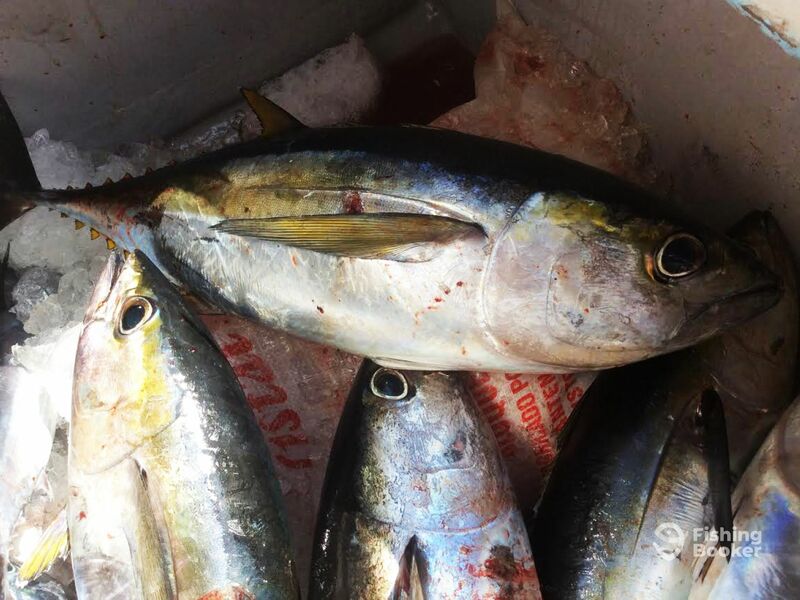 The porpoise and birds were working the bait balls just 300 feet off the Isla and the yellow-fin hit the lures immediately. The action was non-stop and a lot of fun. 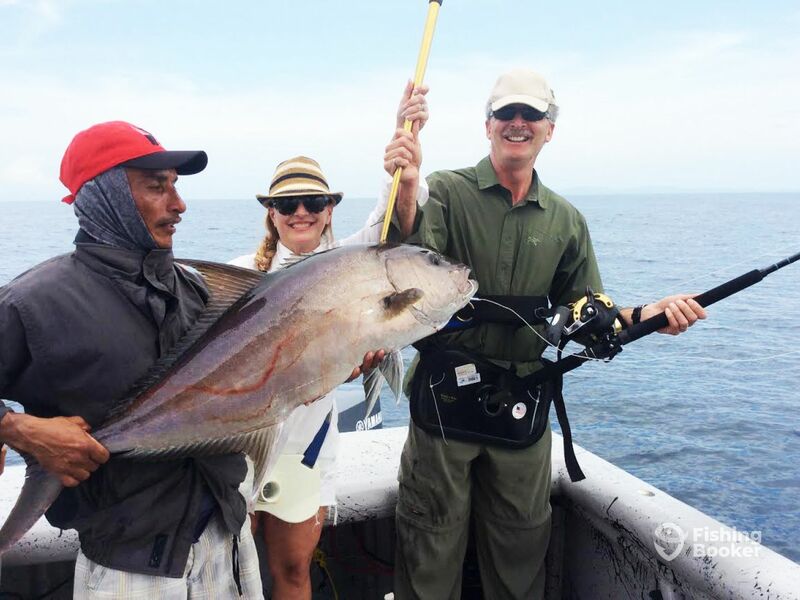 After Coiba we decided to try our luck near Punta Mariato just off Cerro Hoya national park on the Tuna Coast. First we picked up our live bait and also caught a few snappers and groupers jigging the reef while catching bait. We then headed down the Azuero peninsula to a reef called Roncador. 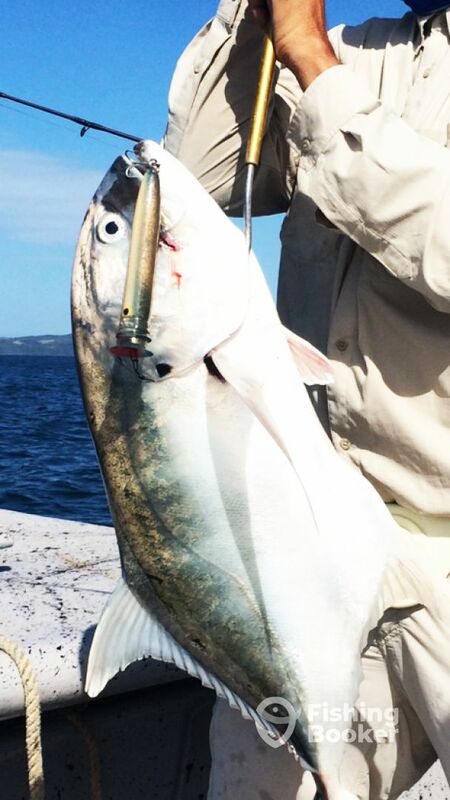 We dropped live bait and had immediate success with some decent sized amberjack. There were also an assortment of small snappers and Jack Crevalle caught on the popper while trolling the live bait over the reef. All in all its been a decent first week of February.